In 1819, Rev. 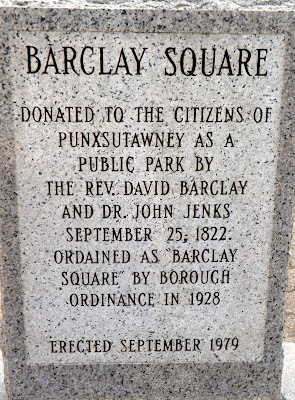 David Barclay purchased 327 acres of land, which was the original site of Punxsutawney. 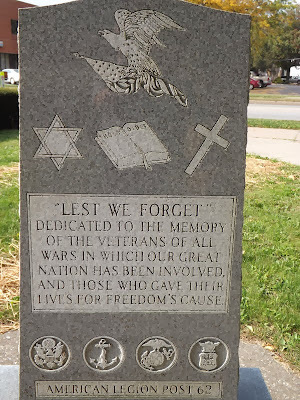 When the town site was recorded in 1821 in Indiana County, Rev. Barclay and his son-in-law, John W. Jenks, set aside "a parcel of land for public use". In 1902, Shelly M. Noyes supervised the project of turning the parcel of "wasteland" into an "oasis". Barclay Square is used today for many public functions. 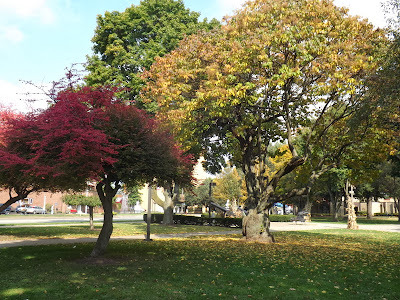 Groups can request use of the park by calling the administration office of the Borough of Punxsutawney at (814) 938-4480. Please see the rules and regulations of our town parks on this site if you are interested in reserving the park. In 1897 the War Department presented the E.H. Little Post of the G.A.R. a gift of two large cannons. 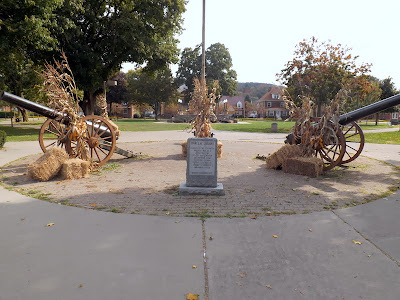 The cannons were placed in the park in 1910, and were moved to their current position in 1976. 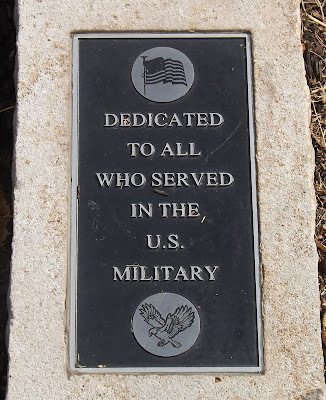 The Memorial Bandstand, dedicated in 1932, is made of native stone. 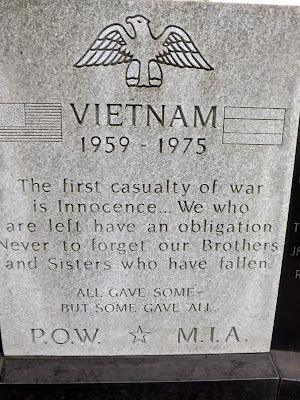 "A memorial to veterans of all wars in recognition of the valiant services to their country."